Perfect in 10 minutes. 8 bags of 2 portions. Gluten free. 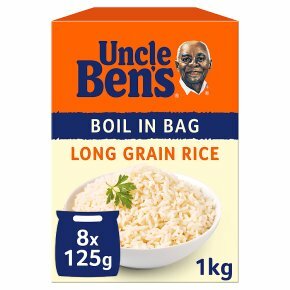 Begin with Uncle Ben's® rice and bring a smile to meal times. We've selected and prepared our rice to be as perfect as we can, so it's as easy to cook as it is to eat! Fluffy rice that inspires tasty meals every time.